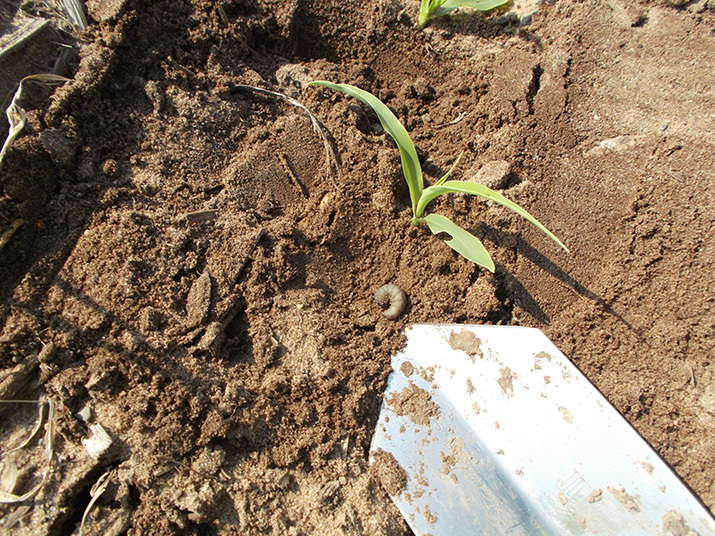 Crane Damage and a Cutworm Alert! We saw two big issues in fields today! First, crane damage was seen just north of Adams today! Keep an eye on your field for crane damage! 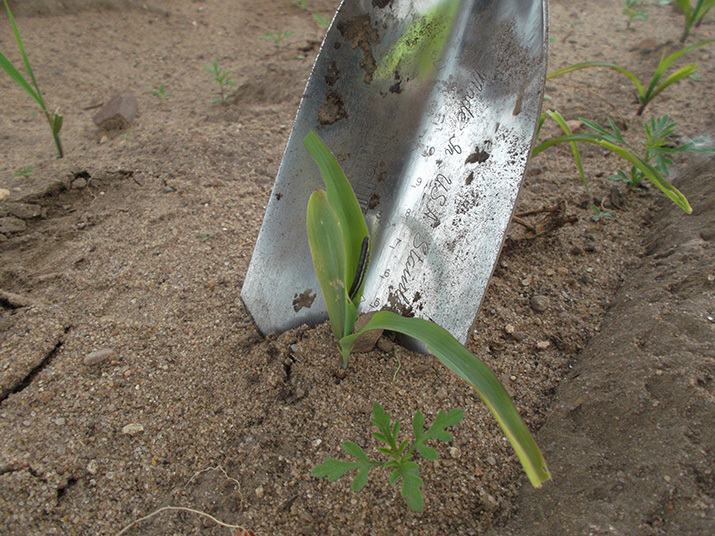 Look at the picture below – the cranes pulled the plants right out of the ground. Crane damage seen just north of Adams, WI, on June 5, 2013. 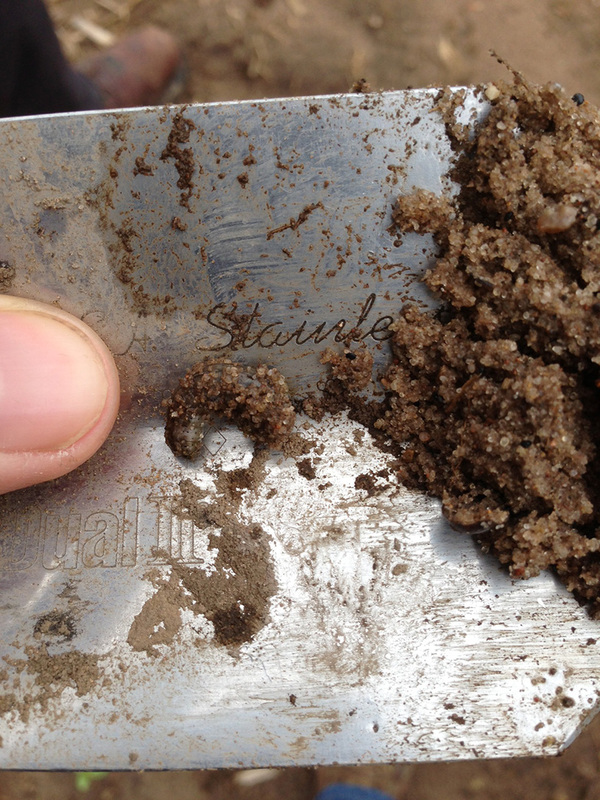 Second, cutworms were found feeding just south of Adams this morning. Please check your fields or give us a call to help scout your fields ASAP, so that these pests don’t chew up your crop. 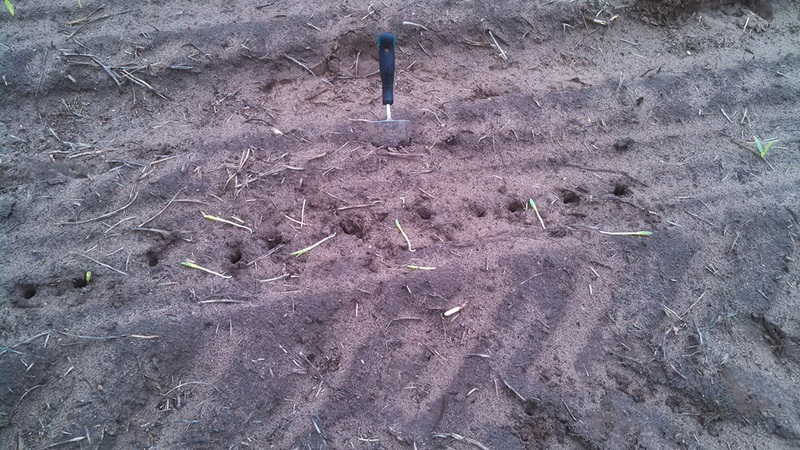 Cutworms spotted south of Adams, WI, on June 5, 2013.